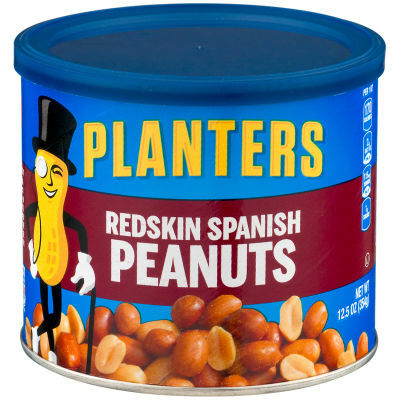 Planters Redskin Spanish Peanuts have a bold nutty flavor that stands out from regular peanuts. The redskin gives these peanuts additional texture and crisp, perfect for satisfying your salty cravings. - Roasted in oil and with sea salt, this large canister of redskin Spanish peanuts are the ideal treat for your next get together. Serving size 1oz (28g/about 53 pieces).